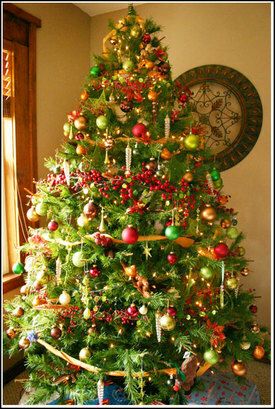 Okay, so I have been promising to show you my Christmas tree, my messy house and my "white" tree.. I will show the all except my messy house.. only because i didn't want to bother trying to get a picture of it! LOL..
so.. as I told you before, I went to Canada a few weeks ago and besides teaching classes, I also got the chance to TAKE a class from miss Carol Wingert.. ONE Freaking talented lady!! Well, I made this incredible mini album.. called the "White book". 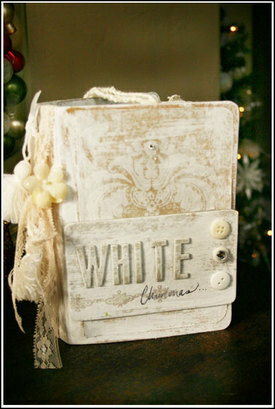 It's full of mostly just kraft colored papers, vintage Christmas clipart and white embellishments.. plus we used this white paint stuff that was more like chalk and for the LIFE of me i can't remember the name of it now! AHH! Anyhow, Here is the picture of the finished book and one of the inside pages.. I JUST LOVE it.. so totally out of my comfort zone. I love glitter too and this book was full of it. Kinda hard to see on the pictures, but WOW.. loved it. Well it inspired me SO much that I wanted to come home and do a "white" tree. I already had most of my decorations for our main tree, (pretty much the same as last year, but instead of the white accents with the red and green, I found these GORGEOUS glittered bronze/copper birds.. so I decided to take the white out our main tree and have the tree be red, green and copper..more of that later).. but so anyhow.. 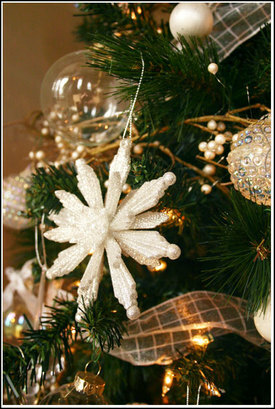 I wanted a "white tree, so I saw these fun 4' trees on sale at Michaels for $29.99 each. 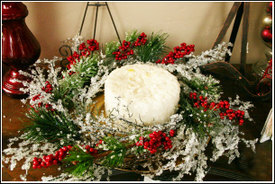 They came pre-light and were either in this fun ornamental "box" (for the base) or a more Tuscany style pot thing.. I opted for the white base, since most of the wood, carpet and walls in my house are brown. I needed something to contrast. 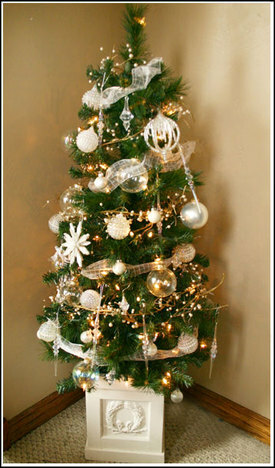 PLUS it went perfect with the 'White" tree concept. 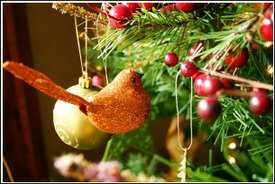 I bought tree of them.. one for the white tree, and two for outside on our front porch! I didn't take picture of those, but will when we get all our "outside" decorations up..
anyhow.. so I had all of these left over white ornaments from not using them on our big tree and so I didn't even have to buy a thing for it. All of the ornaments, balls, ribbons, garland.. everything came from the Dollar store last year.. and then the wonderful women from Canada last year.. (same event as above).. sent me these two gorgeous white glittered ornaments all the way from New Brunswick for Christmas. I almost died! They were so gorgeous.. so everything just fit so perfectly on the tree. It sits in my front entry way of our house.. right as you walk in.. and I love it.. 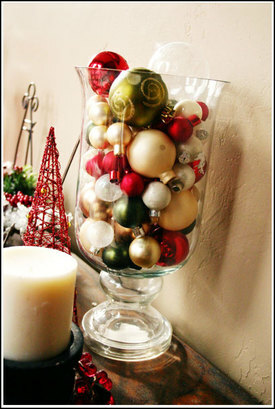 So next to the white tree, I have my "entry way" table. I haven't quite finished decorating it yet, but I have all of these candles from years past, and I so I found this fun wreath on sale at JoAnn's.. and just put the candle on a "plate" I got for a $1.00! and put the wreath around it. Then I have this cool glass vase I got at a local store here called " real deals.. LOVE That store.. you can also find glass vases like this at Wal-mart or craft stores.. Wal-mart has them for CHEAP those (under 10 bucks). Anyhow.. just filled them up with the balls left over from years past, that had the tops "pulled" off them by kids.. it worked out perfect. I still have a few more things to put on the table.. but I like it. Above it sits a picture of Christ and the Family Proclamation.. (which is up actually all year round).. but so fitting at Christmas time. So our Main Christmas tree, like I said it alot of things left over from last year and the year before, but I wanted to take out the white and put in the copper to give it a more "homey" feel.. much like our "old" house is.. just cozy and comfy.. so here is our tree. I found these dang cute birds at the Dollar Tree store (they had them in gold and in white too).. and then I also found a bunch of "copper and bronze" embellishments at the dollar store too, like picks, feathers, balls.. etc.. all fit perfectly! and cheap! 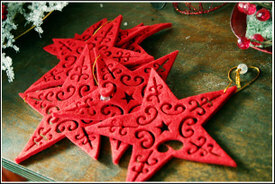 I found these cool felt stars too.. SOO dang cute.. they had them in red and green.. so I bought the green ones for the tree.. and bought a few packs of red ones for craft/scrapbooking projects. I thought they would Be SOO Cute in a mini album.. I bought a few of those ATC rounders from 7 Gypsies, and i want to make a few Christmas "albums" using those.. one of them I wanted to do red, black and green, and I thought these stars would be cute like cut in half.. and halfway on the page.. LOVE em. They are so intricate.. they had ornament shaped ones too, and also reindeer ones too. They came 4 to a pack.. and they are about 4-5" wide.. that's pretty good deal..
anyhow, so that's my my story.. I have some news about my health.. and exercising again.. but this post is so long.. and we don't want to spoil it with boring talk about me and my health! LOL.. so I will post about it later..
holy cow.. where does the time go? Well in the past 2 weeks (since getting back from Canada).. we managed to get up our Christmas tree (a week BEFORE thanksgiving).. have a WONDERFUL, laid back and RELAXING thanksgiving.. holy cow.. one of the best times ever.. just so nice.. thanks TIA. 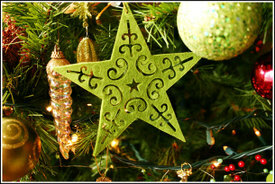 Get ALL Of our christmas shopping done (again ALL before thanksgiving.. (can you believe it? NO black friday shopping for me.. that's a FIRST).. well okay, I Lied, I did get a few things online. but it sure beat getting up early and leaving the house in freezing cold weather.. and I STILL got what I needed for the kids. I am going to post later tonight or tomorrow with pictures of our tree, OUR MESSY house and some other cool stuff I found these past two weeks.. sorry to be so bad at this..
getting everything under control... slowly..
update on New Scrapbooking store in Shelley.. Okay! I have an update for you on the store in Shelley. I have had a lot of e-mails asking about the hours, etc. So I thought I would post it here too. SO to recap! There is a new scrapbooking store that opened up in Shelley! It's called Simply Scraps and this store has unbelievable prices on everything.. EVERYDAY. Like I mentioned before some of the things she had were the American Crafts "thickers" for $2.99 (GREAT deal), cardstock for $.20, the new expressions cricuit for $329.00 (I THINK).. but i Know I paid $349.00 for mine ON SALE at Roberts)..
anyhow, so if you are in the area.. you need to stop by! The store is located at 173 W. Pine (right off the main hi-way in Shelley). SO easy to find. Anyhow.. If you are in Idaho falls and out about on Saturday, stop by! I know the The big Craft show is also this weekend at the Bonneville High School, and Mini Bazaar is this weekend.. so if you are out, come this way and see what she has in.. one thing i did see when I was there a week ago was the new chipboard alpha/shape combo from Bo Bunny.. SO dang cute.. she has most of their "dots" line.. which was released at CHA summer.. so cute.. I have been considering it for the kit club! oh and thanks for all the e-mail on Lasik eye surgery! excited to check out all the places recommended so far..
Holy cow.. what a wonderful trip that was.... It's always very tiring.. and alot of work (I taught 5 different classes in 2 days).. but MAN so worth it. I swear there is something in the water in New Brunswick.. but everyone there is just Sooo seriously nice and easy going. Plus not to mention the staff.. so fun to hang out with and SUCH wonderful help! I was there with 4 other teachers.. the same teachers I attended the event with last year and I always love spending time with those crazy ladies. Tena, Carol, Kah-mei, and Debbie.. we sure know how to have fun. I got the opportunity one night after classes were over, to take one of Carol's classes. It was a "white" class. OH my goodness! I loved it! Some really cool techniques and not to mention the project is beyond gorgeous. It's something totally outside of my element (very shabby vintage) and oh wow.. I was so excited with the finished project. I have plans for it.. so I can't show it just yet (Christmas present for someone who reads this blog! LOL)..
but it was gorgeous! So thanks Carol! :) and thanks the Scrapgala women.. ALL of them for making it such a wonderful experience for me. Now it's back to life.. as usual. My husband did a great job while I was gone.. getting lots done around here and loads of laundry finished. What a great guy. I could tell that he was ready for me to come home though! LOL.. He's got lots of jobs going on this month.. so he is busy himself. I have to tell you about a VERY cool store that just opened up here in Shelley. If you live in Eastern Idaho, you have to make a drive to come visit it.. It's a new scrapbooking store, called Simply Scraps.. It's a friend in my neighborhood, who decided after I don't know how many years.. to finally follow her dreams and open up this store. The idea behind it is that everything is ALWAYS on sale. I mean her prices are unbelievable. She has a ton of great stuff in too.. great selection of all styles. My favorite was her American crafts "thickers" wall.. she has so many different styles and the great part is they are all only $2.99!! I can't believe it.. I mean the normally retail I think for at least $4.00, I have seem them sometimes for even $4.99.. Her cardstock is $.20, she has all sorts of fun papers from just about everyone, Adhesives, brads.. She EVEN has the new Expressions Cricuit! and the price was unbelievable! I just bought one at Roberts and it cost me like $349.00 ON SALE.. and hers I think is listed at $329.00, every day price. She has lots of cartridges for it too.. and all the cool gadgets like mats, blades.. etc. SO much cheaper than Roberts sale prices.. It's great to finally have a store in Shelley that is not only so close, but to have great prices! If you want to check it out, it's pretty easy to find. If you come in on the old Hi-way from Idaho falls, you will come down the "main" street of Shelley, that has all the fun little shops on it like the Ribbon retreat, the Virginia Theater, etc. Well just past the Mexican restaurant, there is a small road that curves to the right (that goes down to the post office). I can't remember the name, but if you turn right onto that street, the small shops continue and she is like the 3rd shop down on the right. It's a cute redbrick front and her sign is on her store. It's so easy to find. You have to go.. if you are even thinking about getting one of those Cricuits.. you have to go there to get it. Can't beat the price! Well.. Lots to catch up on today... but wanted to check in and say hello! Missed my kids and my husband while I was gone. Holy cow! First off, thanks everyone who posted about my birthday.. SO dang sweet of you! YOU ALL ROCK! I actually ended up doing alot of different things that day.. but it was still nice. I went to the Temple very early and when we got done it was around 10 am. It was pouring rain outside and really I wanted to do was go back home and sleep and snuggle with my hubby.. so instead of "Shopping" I went home. It was nice and cozy, (love it when it rains).. and Ben built me a fire. We worked a little bit on the Scarlet Lime kits, and then we met my mom for Lunch. Then after lunch I had that great massage.. and fell asleep during it! I was so tired! The rest of the evening we just hung out at home.. it was nice. 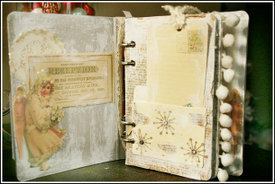 There are some cool things going on this week in the on-line scrapbooking world. First off this FUN raffle.. in which Scarlet Lime donated some stamps for! It's for a really great cause.. you can read about it all hear, but you should totally join in the fun.. here is the link: There are a ton of fun stamps and this is TRULY for such a sweet little girl.. let's help her!! another thing going on this week is Scrap-a-faire. It's an on-line scrapbooking event with classes, cropping, shopping, chats with some REALLY Cool people and more. It's been fun for me to peak in at the chats and get to know them better! If you haven't checked it out you should! IN-fact..scrapbooks etc, has given me 25 FREE passes to get into the show.. and for the first 25 people, who post on this blog, I will send you the free pass to get in! MAKE SURE YOU POST YOUR E-Mail address too! So I can send it to you! Lost of other things going on too, this weekend there are two events going on.. actual classes/crop events that are fund raisers to help some really special people. The first one is in Boise, Idaho my good friend Melody Ross is teaching at it! It's for a great cause, so check it out here.. If you live in the Boise area.. it would really be worth your time and money to go.. This is her personal story.. but she is also a fellow scrapbooker and the women in her church and community have put together a really cool event going on this weekend to help raise money for her family's rising medical bills. This is such a good cause and you can learn more about that event here! So.. I have been thinking about Rochelle all week and what I could do to help her out more. If you read her story, it just really hits home for me because she is the same age as me and this disease just hit her like a ton of bricks! It makes me really just want to put my arms around my husband and around my kids never let go. I can't attend the event, so I thought about donating so money directly to the fund that they have started at a local Bank where she lives.. but then I thought, there has to be more I can do..
And then I realized there was! With the recent launch of the Scarlet Lime, I have been able to connect with SOOO many amazing women in the scrapbooking community. Seriously, the customers at the Scarlet Lime ROCK.. Christmas is also coming up and I knew if I could connect the two together in a big way, we... TOGETHER could raise money for Rochelle and her family. SO.. in December, the Scarlet Lime is going to have a really special kit for sale.. a seriously COOL kit for sale, at a GREAT price, that people can buy for themselves, or for a gift for a friend, a neighbor, a teacher at school, siblings, a parent.. ANYONE. I have several manufacturers donating products for this kit.. (seriously the manufactures in our industry as always so generous.. thank you guys..) It will have products from Tinkering Ink, American Crafts, Making Memories, Fancy Pants and more! ..
and ALL Of the proceeds from the kit are going to go to this fund to help Rochelle. It's a win-win situation.. You guys get the chance to buy an awesome kit.. with TONS of product in it., for a great price, and then Rochelle and her family will benefit from it. So watch for that.. it will debut live on the 1st of December.. but we will have previews of it on the Scarlet Lime Blog and also in the Scarlet Lime Newsletters during the entire month of November, (if you want to sign up for the Scarlet Lime Newsletter e-mail me at christy@scarletlime.com).. to make sure you don't miss out. Anyhow.. it's going to be fun. well don't forget! 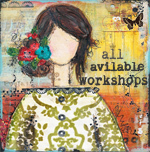 If you want to attend Scrap-a-faire, send me an e-mail and I will get you a free pass into the show! (I don't think this includes classes.. but you get to participate in a ton of fun things)..
also don't forget about the stamp raffle! Scarlet Lime donated some exclusive stamps for this! well, lots to do before I leave for Canada.. I will try and post from Canada.. have a great week!